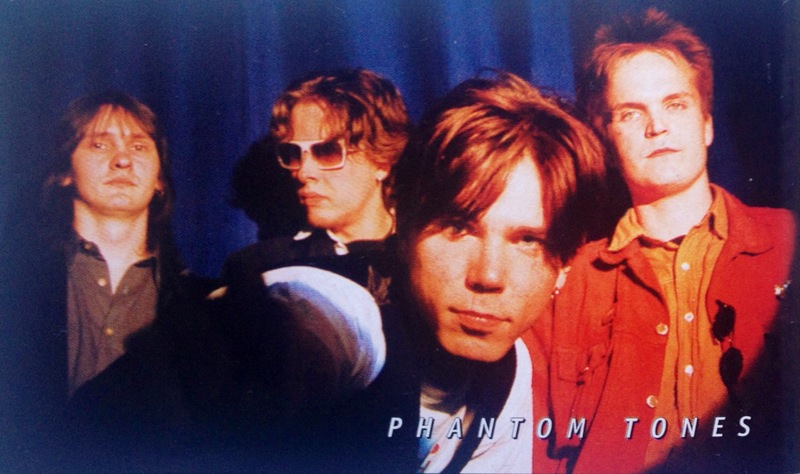 The Phantom Tones was a pop rock band I played in 1997-2001. We released a couple of ep’s and an album and played around 50 shows. Here’s some stuff about the band I found on my computer. It’s all in English, even the Finnish reviews, because we translated them for promotional use and I don’t have the originals anymore. But it’ll give you an idea of what we were about. There’s even a complete gig list at the bottom of the page. The music is still available… see here. Ever wondered what happened to the Songs? You know the ones that just wouldn’t let you go after listening to a record or seeing a good show? The ones that actually felt like being written from the heart? No worries. As far as Finnish powerpoprockers The Phantom Tones are concerned some things, such as diamonds and catchy tunes, are forever. Formed in 1996, The Phantom released their debut MCD Just Fine on Grandma Records label in August 1997. Receiving good reviews and lots of air play in both local and nation wide radio channels, Just Fine worked as a stylish introduction at the same time paving the way for the band to get signed. 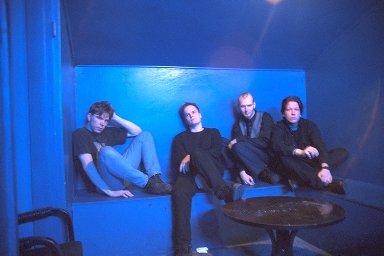 The next year came and brought several new songs and two brilliant studio demos with it, and in the late 1998 it was time for a warm handshake with Hiljaiset Levyt label. 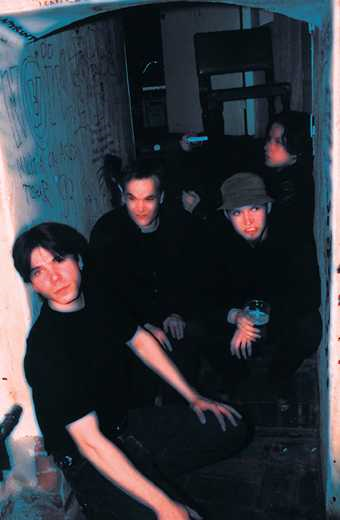 The Tones’ first effort on the label, Phantastico, was released in May 1999. The video of the song You Didn’t Know Me was shown several times in Finnish cable music channel and Phantastico was praised by music zines all around. 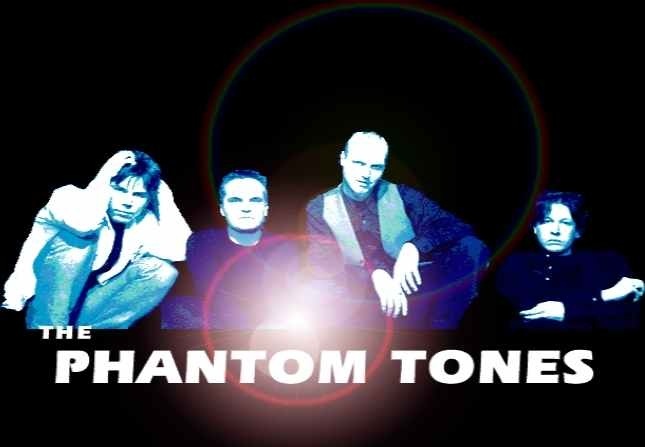 The Phantom Tones started working on their long-awaited debut album Entitled Nameless in the spring of the year 2000. This melodic and energetic rocker painted with all the colours in the palette, starting from the classic power pop of Tell Me and Falling Down, wandering through the dreamy neighbourhood of Running just to end it all in the darkened spheres of Sapphire & Steel (hats off to the classic TV series!). The Phantom Tones flirts with guitar rock and punk with a good sense of pop sensibility. The band has enough songwriting skills for three your-average-popsters to share, and after four years of work the whole is beginning to look pretty seamless. The Phantoms have their target locked: they’re here to play rock’n’roll with big guitars and catchy hooks for you to bite. So here’s the declaration: Pop with buzzing guitars is what you really need. This Finnish group I associated to Phantom Surfers which I don´t think are so funny. But Tones plays a poppy style of punk and I think of groups like Undertones and Buzzcocks in a way. Grown up with the same parts of pop and punk I think they are. It´s good melodies and good songs and many of the songs is going to be on my mixed records/cassettes to my car. Phantom Tones is one of the more interesting bands in Finland right now. 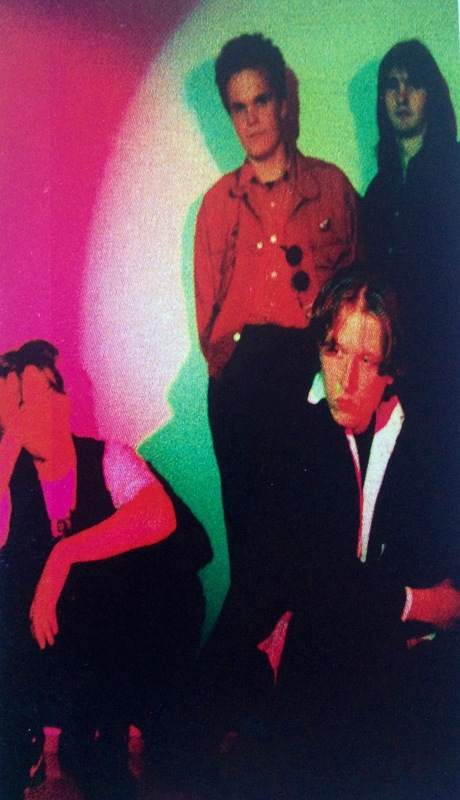 ”’Should I Stay or Should I Go,’ I had it on the radio.” This nod to the Clash in the lyrics of Time Goes On acknowledges just one of the late ’70s punk and new wave influences that permeate the sound and spirit of the Phantom Tones’ promising debut full-length CD, Entitled Nameless. Guitarist and lead vocalist Pasi Kaukonen, who does most of the quartet’s songwriting, has fully assimilated the power pop ethos epitomized by such seminal bands of that era as the Buzzcocks (listen to No Angels) and Cheap Trick (listen to Driving Song). The hook has usually been firmly implanted and the final chord struck in less than three and a half minutes. Kaukonen, the dominant personality in the band, writes with a keen bitterness. His vocal style seems to be constrained by a reluctance to let go and actually sing, which is ironic given his knack for hooks. Bassist Jarno Sakki displays a decidedly more romantic sensibility on the songs he contributes and on which he also takes the lead vocal, sounding somewhat reminiscent of Tom Verlaine in Television (the late ’70s, again). Although these are only 2 of 12 tracks, they broaden the range of the music and add interest to what is an already strong set. The straightforward quality of the recording itself suits the band well; they sound fresh and relaxed, in full command of their material. A couple of the songs on Entitled Nameless, Tell Me and You Didn’t Know Me, appeared previously, in slightly different versions, on the 1999 Phantastico EP. 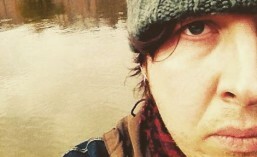 Blue-collar pop with more than just a nod to their ’80s influences. A rendition of Blondie’s Hanging on the Telephone (written by Jack Lee) completes the snapshot, 4-song EP by the Phantom Tones, where throwing hooks comes as natural to the guitarists as to a Greek fisherman eager to land the catch of the day. This CD-EP is the follow-up to the Finnish band’s first release – a mini-CD in 1997. The band attacks with aggressive power pop on the opening track and then backs into a rigid song-writing formula that short-changes the creativity of some obviously talented musicians. Pop is meant to be simple and fun, and, for the most part, The Phantom Tones nail it, but Blondie was all about breaking new ground. If the band has plans to release anything more substantial than a tribute CD, they should certainly take this into consideration. Big surprise is… The Phantom Tones’ Phantastico (Hiljaiset Levyt). It really is staggering how many fine Finnish releases there seem to have been in the 90s. Here’s another band I’d never heard before with a four track CD boasting two stone killers. You Didn’t Know Me has one of those soaring choruses that lifts the entire song along with half your apartment right off its foundations & if there was any justice this sort of thing would be top 40 radio material worldwide. And the opening track Tell Me isn’t far behind. Their cover of Hanging On The Telephone made me laugh out loud when the phone at the beginning was one of those really cheesy cellular ringers. Unfortunately, the singing is a little stiff compared to the original, and it says something about the Phantom Tones’ songwriting that this is the weakest of the four tracks. Finland seems to have an abundance of great sounding rock n roll bands, well you can add The Phantom Tones to that list. Three originals and Hanging on the Telephone (Which sounds exactly like a certain Mr. Monroe singing) all in all a brilliant disc. This months most recommended: THE PHANTOM TONES and THE THREE 4 TENS. First it was Canada über alles and now it’s Finland über alles… It just makes me wonder when I’m going to say Argentina über alles? Anyway, just like the above mentioned Yell, The Phantom Tones can mislead you by their image! Their name suggested a sort of Cramps-garage type of rock, but hell no!!! This is pop! Powerpop to be exact. And according to Ari from The Phantom Tones that is only a natural thing if you mix pop and guitar rock! You want comparisons? Well, lets give all those well-known American bands like The Replacements, Fountains of Wayne, Ben Folds Five (but without the piano) or Autopulver and you have an idea how they sound like! Irresistable pop melodies with rawky guitars. Nothing original, that much is true but was it ever your intention to see music as art only? Good pop deserves its existence as well. Their tunes could convince the leading label of the Finnish indie scene (Hiljaiset Levyt) as this is their debut on this label. And to make it all complete, there’s even a cover from Blondie’s Hanging on the Telephone! En grupp som gör Blondies Hanging on the Telephone kan inte vara annat än bra. Ganska snäll indiepop är det annars det handlar om I det stora hela. Men deras version av Hanging on the Telephone är mycket bra. Lite gott punking sådär. Jag gillar att de har fått till sådant sound som de har på sen låten. Lisää komeaa kitarapoprockia tarjoaa turkulainen The Phantom Tones, joka soittaa äskeistä (Cartoon Tree) hieman raskaammalla ja melankolisemmalla soundilla. Neljän biisin EP on vahva esitys, ja eritoten avausraita Tell Me jyrää! Levyn päättää harvinaisen ajankohtainen Hanging on the Telephone, tuleehan kappaleen alunperin esittänyt, vasta comebackin tehnyt Blondie Ruisrockiin. The Phantom Tones lähtee muuten edustamaan Suomea Los Angelesissa järjestettäville International Pop Overthrow -festareille. Phantom tones’ first release for an actual record company makes clear that the band plays melodic punk-pop-rock. This is guitar-oriented rock music suitable for radio stations. 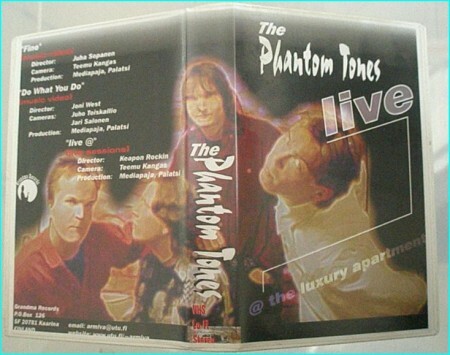 Above all the Phantoms will be remembered by their melodies; the three originals on this CD have really catchy choruses. While writing this review I’m still humming the songs by myself. On this record the song to get stuck in your head is You Didn’t Know Me. There’s also a cover version of Blondie’s Hanging on the Telephone. Phantastico is absolutely not all about being mellow, but I’d prefer a bit more edgy rawness to it. sounded like a mix of early Mega City Four and ’77 melodic punk a’la Stiff Little Fingers. SOUNDI 4/96: Here’s a band that believes in melodies and that is always good. The first track Devil Is Calling on their two song tape works very well, but the second song You Know What It’s Like remains a bit pale… I know it’s meant to be melancholic, but then again it could roll smoother. The band plays very professionally. Mitä minä täällä teen? Älä kysy. Luultavasti päivitän tänne joskus jotakin, jonka tahdon jakaa kanssasi. 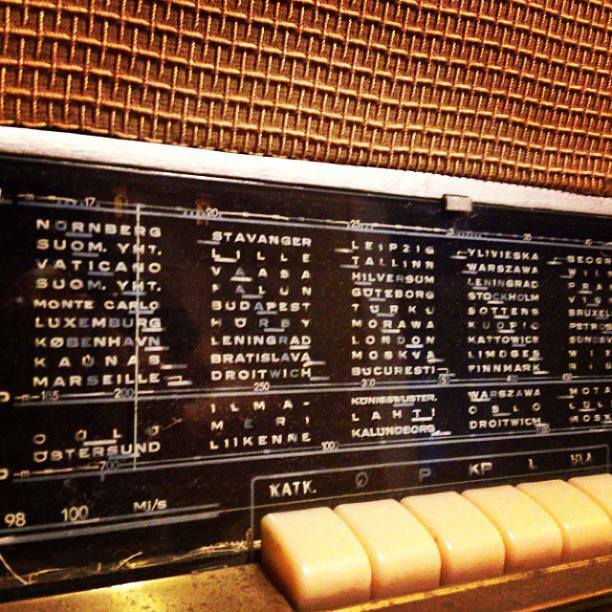 Kuten vaikkapa tuon hienon radion kuvan tuossa. On Leningrad ja Vaticano ja vaikka mitä. Turku. Siellä olen käynytkin. Olen Ari Väntänen. Hauska tavata.